Upon learning of Olivia Newton-John's recent diagnosis of breast cancer, her dedicated fans banded together with a plan to take her to the charts, again. Olivia has shared with audiences at her concerts for years that when she first conquered cancer, she wrote a song, "Not Gonna Give In To It" for her 1994 Gaia album, which she says has become her personal anthem. Written in the middle of the night, the song is a testament to facing down our fears. Livvy's fans spread the word that they wanted to show the Aussie icon she was in their thoughts, and that they knew she wasn't "gonna give in to it." 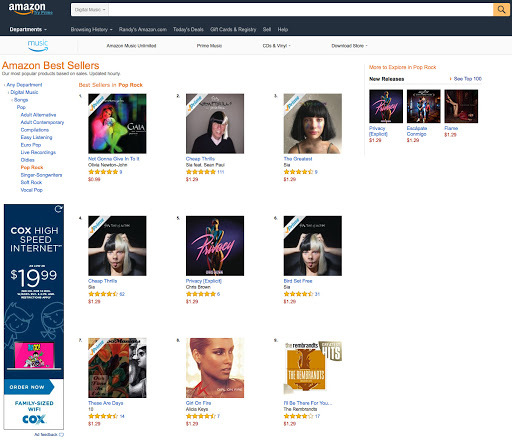 The dedicated fans coordinated to buy the track from Amazon in solidarity on the same day with the hopes of seeing the anthem chart. Not only did the plan work, but it took the song all the way to number one on the "Pop/Rock" chart. Those are some great fans for a awesome artist. Best thoughts to Livvy as she beats this once again and returns to the stage to celebrate her music.